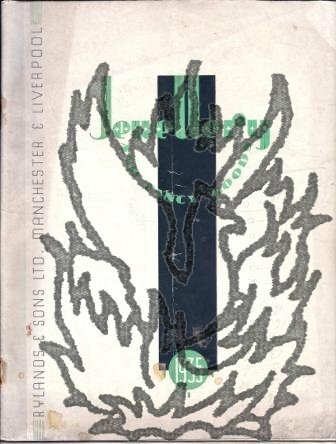 1935 trade catalogue of 'Jewellery and fancy goods' by Rylands & Sons Ltd, Manchester & Liverpool, filled with photographs and engravings of jewellery, radios, cigars and cigarettes, furniture and other items. 4to, 32 pp. On shiny art paper. Text and photographs clear and complete. Aged and worn, with slight rust damage from staples. 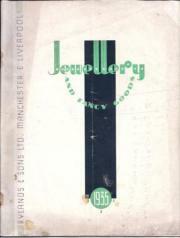 The cover, showing the influence of Art Deco, is printed in green and black, the rest in black.